The chief source of funds to Al Qaeda and other jihadist groups is Saudi Arabia’s royal family. Documentation comes from testimony of the captured top Al Qaeda financial operative to a U.S. Court; and from testimony cited in the ‘missing 28 pages’ of the congressional investigation into 9/11; and from private communications of a U.S. Secretary of State. These documents cover Al Qaeda’s finances, not only pre-9/11, but up through at least 2014, and they consistently indicate that — throughout at least this lengthy period — the royal Saud family provided the essential funds that enabled Al Qaeda’s global operations, including the 9/11 attacks. Al Qaeda isn’t merely an extension of the Sauds’ Sunni-fundamentalist Wahhabist-Salafist jihadist beliefs, but every one of Al Qaeda’s members also receives a “salary” and is therefore a mercenary who is fighting for a cause that he not only believes in, but also receives his livelihood from. Unlike many court cases, where some of the reliable evidence conflicts with other of the reliable evidence, all of the reliable evidence in this case is consistent: that the royal family of Saudi Arabia, the Saud family, have been the indispensable financial backers for Al Qaeda, and that Al Qaeda could not have succeeded as it has, without this money. The U.S. has spent more than $8 billion with little effect over 15 years to counter the flourishing poppy trade that has made Afghanistan the No. 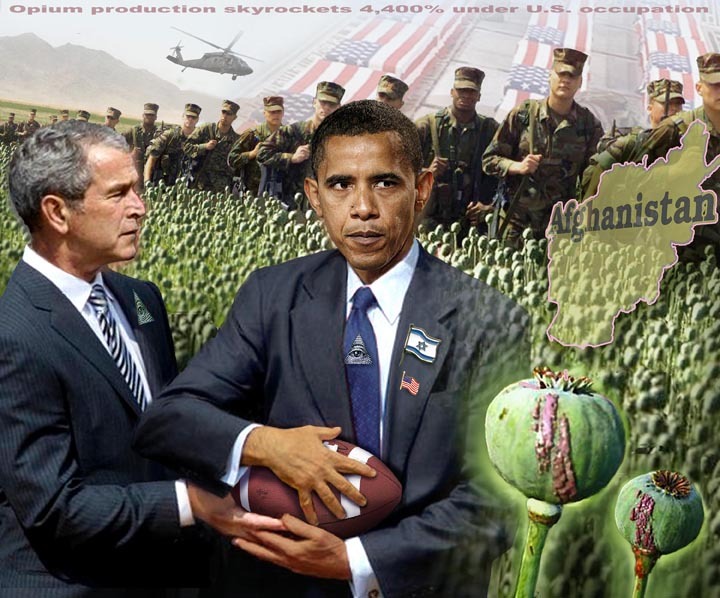 1 supplier of heroin to the world. The Defense Department no longer includes a section on counter-narcotics in its semi-annual report to Congress on Afghanistan. It was absent from the report on “Enhancing Security and Stability in Afghanistan” submitted last month and also omitted in the previous submission. After nearly 15 years in Afghanistan, it has reached the point where U.S. military officials can now occasionally see an upside to the poppy harvest — it gives a breather to the struggling Afghan army. In a May briefing to the Pentagon from Kabul, Army Brig. Gen. Charles Cleveland, a spokesman for U.S. Forces-Afghanistan and the NATO Resolute Support mission, said the Taliban would be too busy with the poppy harvest to press the fight against the 215th Division of the Afghan National Defense Security Forces in southwestern Helmand province, the country’s biggest opium-producing region. “The poppy crop is really the engine that provides all the money that fuels the Taliban,” Cleveland said, and the insurgents were keen to rake in the profits from “this very good poppy crop that they had this year. This was something I had remembered from a long time ago. I saw something else compelling recently that put that to rest. It has all the makings of a major box office thriller: Texas Governor and Republican Presidential contender George W. Bush and his brother Jeb, allegedly caught on videotape in 1985 picking up kilos of coc aine at a Florida airport in a DEA sting set up by Barry Seal. The 80s were a time of big flowing coke and insane profits.. if you wanted to spend the rest of your life looking over your shoulder; that was one route some chose to follow... or unless you were high up in the government with a get out of jail free pass..
edit on 727ndk17 by 727Sky because: ..